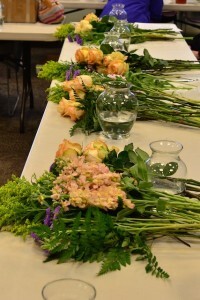 Flower arranging class was a success! 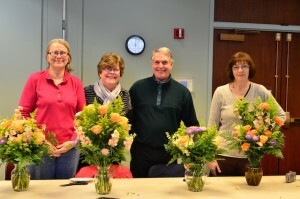 About 18 members took part in Karen’s flower arranging class at our March meeting. 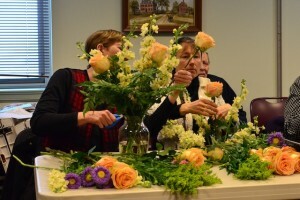 Karen was up early to pick up amazing, fresh supplies from the flower exchange in Boston. The ingredients included a nice combination of thrill, spill and fill. Compatible and complementary colors were chosen. Karen demonstrated as she went. 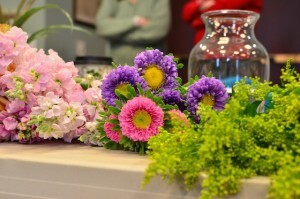 Her arrangement was beautiful. 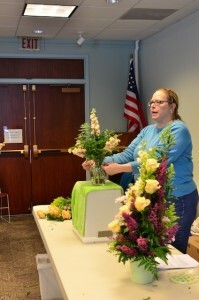 Karen started by covering important basics on choosing flowers and keeping them healthy then she talked about how to support the taller flowers. A key tip was that inserting foundation items at angles to each other creates a sort of natural grid to support subsequent layers. 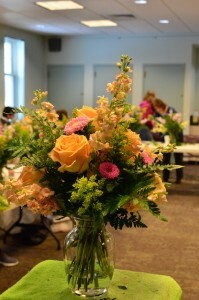 It was a very successful day with participating members thrilled with their results.